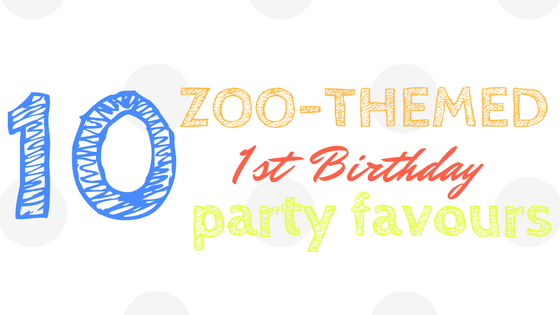 Celebrate your child’s first birthday party with an exciting zoo-themed party. We’ve already shared our ideas about wild decor, fun-packed games and yummy cakes, but what about something for your guests to take home? 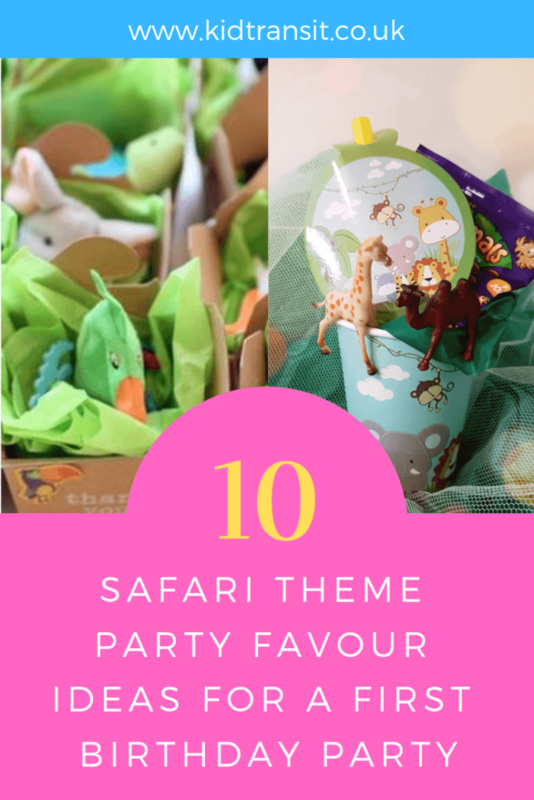 Today, we’ve rustled up a whopping 10 party favour ideas for zoo-themed birthday parties. 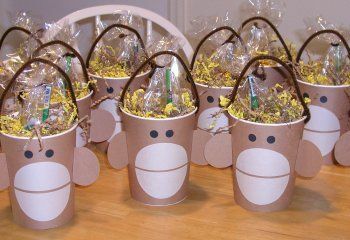 These sweet-filled monkey cups make an adorable addition to any festivities. Just be sure to stuff them with age-appropriate treats. Maybe opt for soft biscuits, if you have a lot of young toddlers attending. 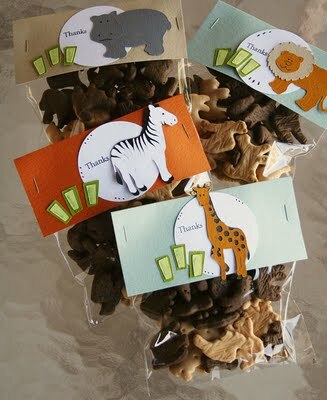 These personalised animal crackers are a great choice for younger guests who might choke on small confectionery. 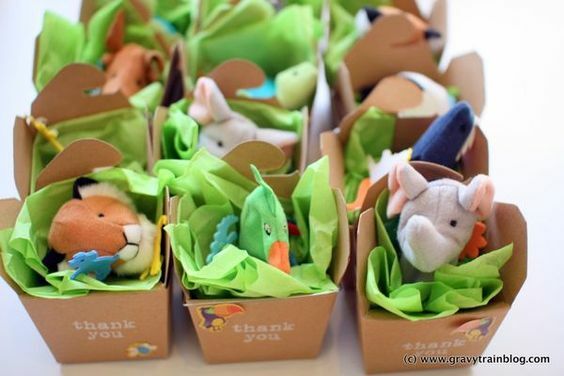 Do some research and find out your guests’ favourite animals and customise the pouches to suit. 4. 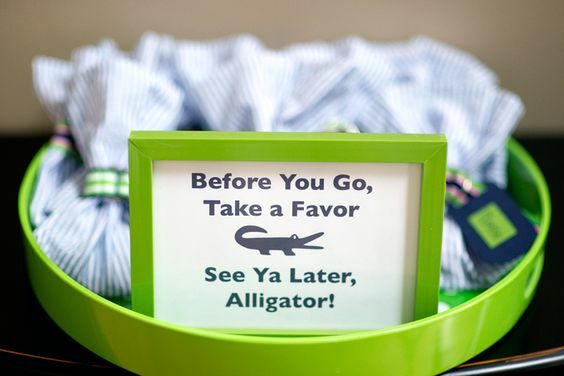 In a while, crocodile. 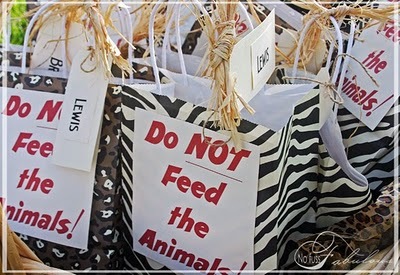 Keep up the zoo theme until the very end of the gathering and have your party guests take home a wild treat. 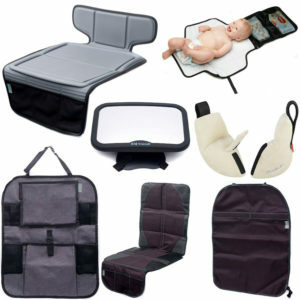 It’s up to you what’s inside, just be sure that it’s suitable and safe for each age group. Who says that you have to give out favours at the end of a birthday bash? 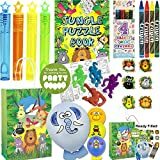 Hand out fun costumes so that everyone feels like they belong in the zoo! Again, young babies won’t get much joy from the usual party bag goodies. These cute finger puppets, however, will be able to bring them joy for years to come. 7. Cups full of joy. 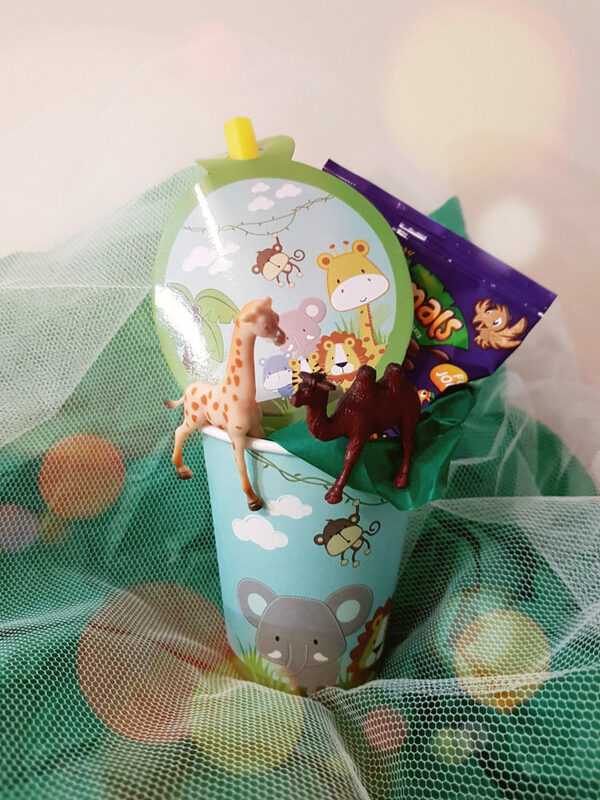 For the older children, put together a special package full of zoo-themed toys, nibbles and, of course, a party hat. 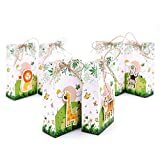 These funky party bags are easy to pull off with a good printer and some creativity. 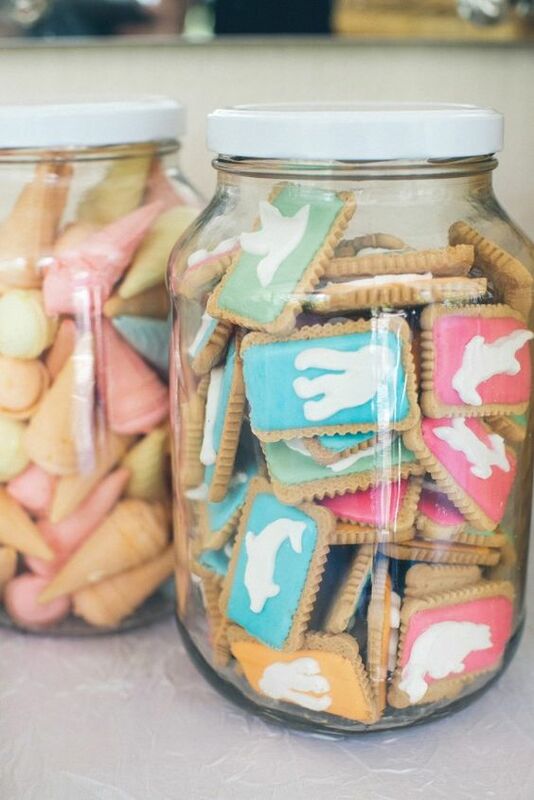 Now, these biscuits were actually shared out at a wedding, but we think they’d make perfect first birthday favours that adults and children alike will enjoy. Source: Rock N Roll Bride. 10. Adopt a new pet. 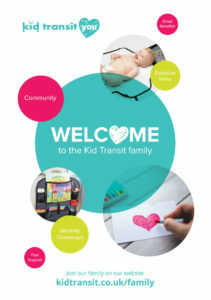 A soft cuddly toy is a wonderful choice when it comes to a parting gift for young children. They will be able to cherish these teddies for many years, even if they don’t recall the get-together. 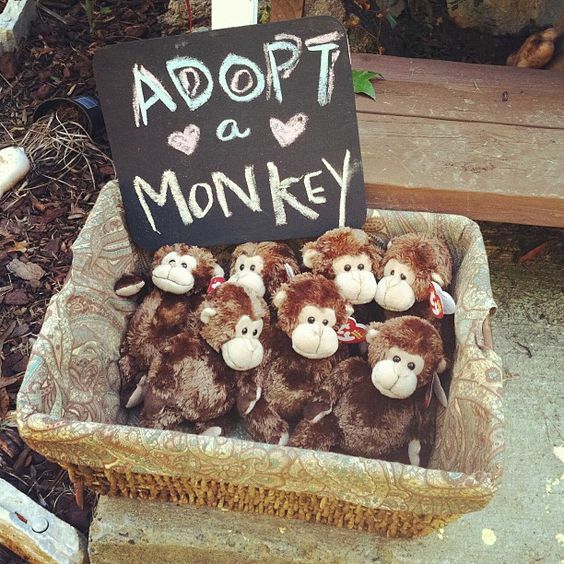 Add an extra special touch by hanging a unique thank you around each monkey’s neck. 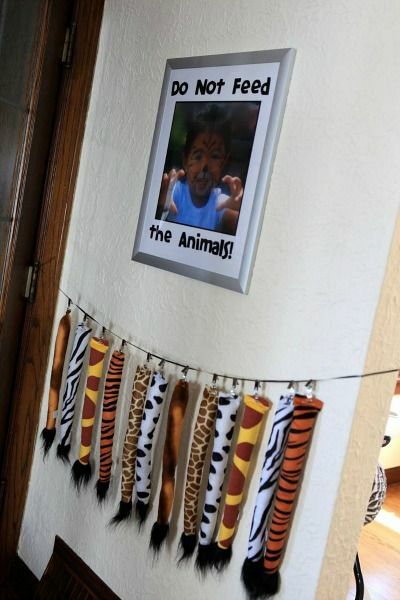 After even more inspiration for your zoo-themed first birthday party? 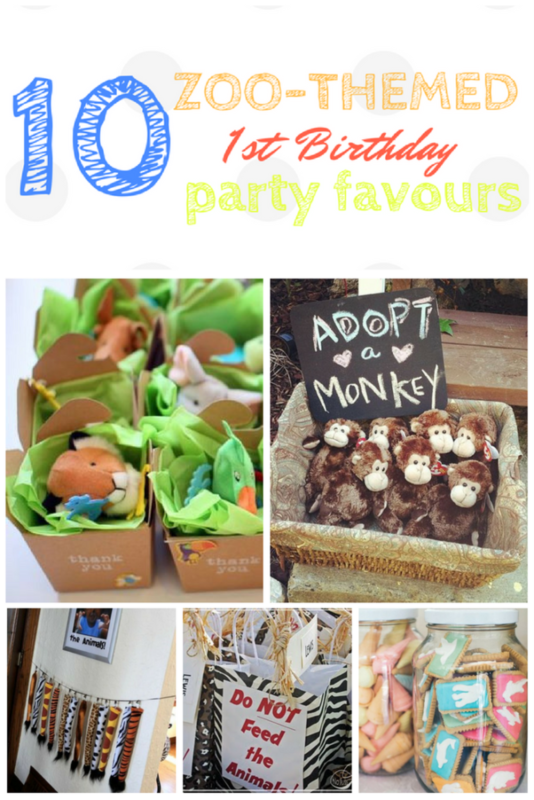 Check out this useful guide on how to host a zoo theme first birthday party. 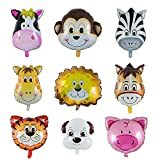 Take a look at some of our favourite buys on Amazon for zoo themed party favours. What Size: 5x3x1.6IN /13x8x4CM, bigger than others' boxes, enough to fill up with candy and chocolate beans.